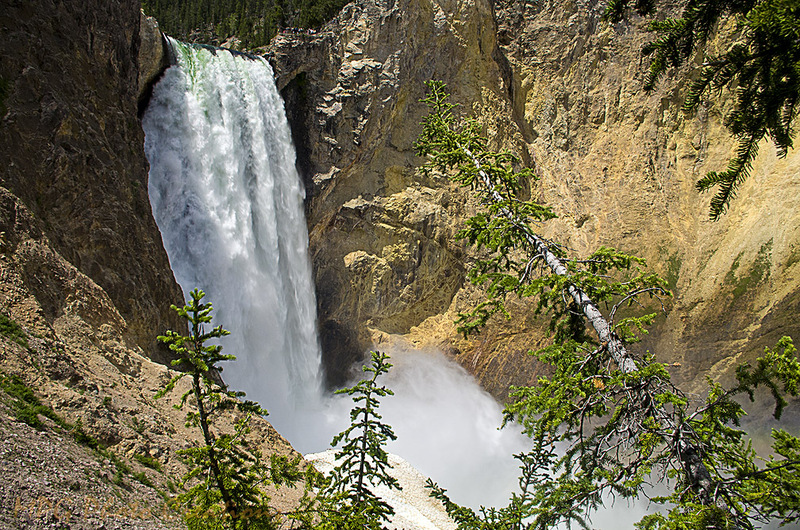 This is another view of the Lower Falls of the Yellowstone. We were on a set of very steep stairs where you could go most of the way down to the river. As the stairs were so steep it required a lot of resting on the way back up. On several of those rest stops I took photos and this is one of them. It was very beautiful to see so up close and at the different levels.